Produced from 1850 through 1907, the $20 Liberty Double Eagle was one of America’s most heavily produced gold coins. Not only was it popular as a unit of exchange in the 19th and early 20th centuries, but it remains an extremely desirable collectible today. During its lifespan, the $20 “Lib” underwent two minor design changes, which resulted in the formation of three distinct types. This article explains the differences between the three types in terms of appearance and market value. Type I Liberty $20 Double Eagles were struck from 1850 until 1866. 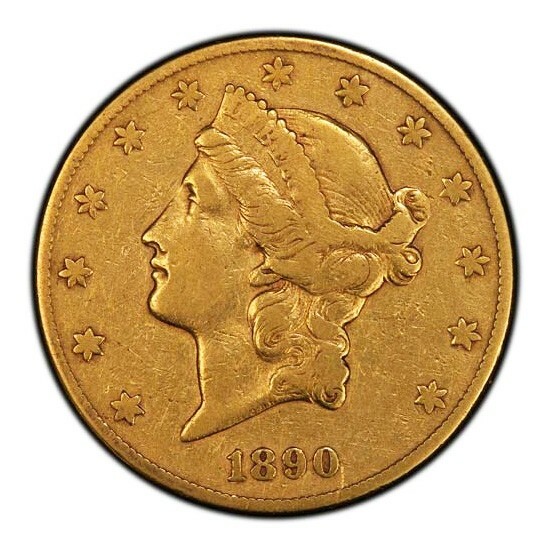 They were produced largely in response to the California Gold Rush, as a tremendous amount of the yellow metal needed to be converted into coinage. Interestingly, Type I $20s generally fall into two categories: well-worn or superbly preserved. Why? Most coins that entered circulation were “workhorses” and saw extensive use in day-to-day commerce. However, quite a few ended up on shipwrecks like the SS Central America, the SS Brother Jonathan and the SS Republic. The contents of these vessels—which included many Type I $20s—were later recovered and brought to the marketplace. These ex-shipwreck $20 pieces were essentially brand new when the ships met their watery demise. Then, they sat untouched (and largely undamaged) in the water for over a century before returning to land again. Following the Civil War in 1866, the motto “In God We Trust” was added to the $20 Liberty, thus creating the Type II series. Whereas Type I $20s can be readily found in MS 64-65 due to shipwreck discoveries, Type II $20s are quite scarce above MS 62. Most Uncirculated coins are seen with heavy marks from having been stored in canvas bank bags. Whereas a circulated Type II is worth less than a circulated Type I, a pristine Type II is worth many times that of a similarly-preserved Type I. 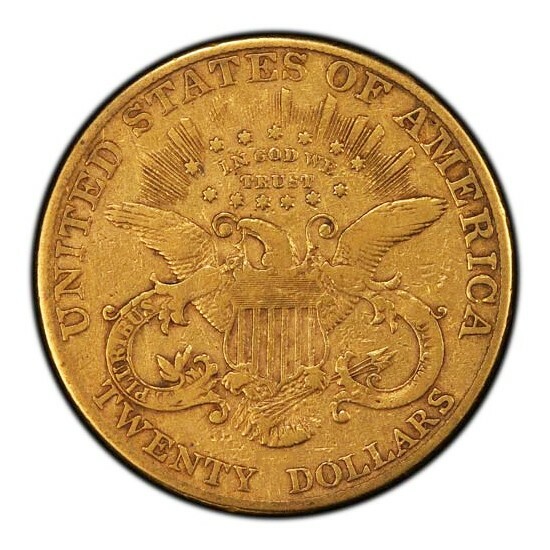 The $20 Liberty underwent another minor design change in 1877. The most noticeable change is how the denomination was expressed; the abbreviated “TWENTY D.” was expanded to “TWENTY DOLLARS” on the reverse. In addition, the obverse and reverse designs were tweaked over so slightly—probably in an effort to make the coins easier to strike. Type III $20s are by far the most common and were produced without interruption from 1877 to 1907. The most available dates are 1900, 1904 and 1907. They are readily available in all Uncirculated grades up to MS 65 and are sometimes seen in MS 66. Type III $20s often exhibit strong “cartwheel” luster and rarely show any strike weakness. Best Prices On $20 Liberties!